In the latest edition of the Insurance Institute for Highway Safety (IIHS) Status Report, the organization reports on the results of a new study into the performance of auto braking systems designed to reduce collisions. 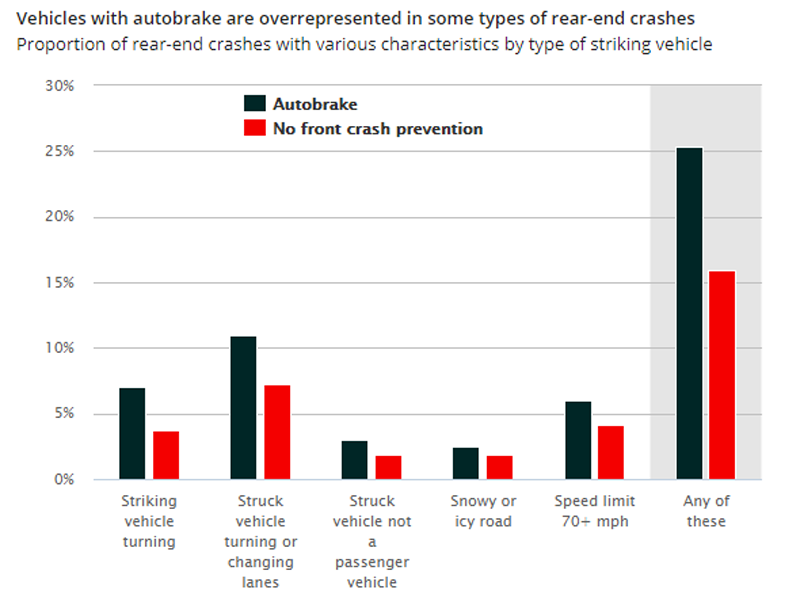 According to the report, when it comes to preventing typical front-to-rear crashes, automatic emergency braking is a proven winner. But, IIHS sees improvements extending the functionality of the systems to address less-common types of rear-end crashes involving turning, changing lanes or striking heavy trucks or motorcycles, would increase autobrake’s benefits.